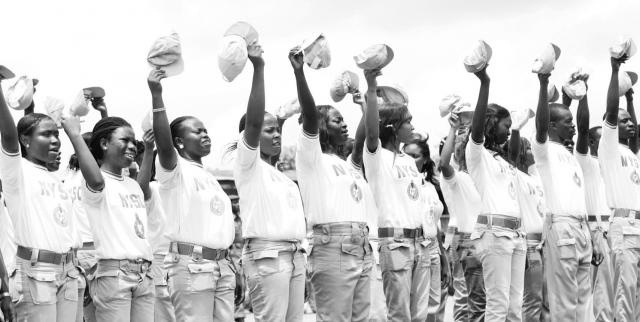 FG Backtracks on NYSC Posting Scheme - Corpr! When the news first broke that the Federal Government has decided to posting all Corp members either to the education or farming sector of the country a lot of people spoke out, accusing the government of losing the original focus of the scheme which was for national integration and furtherance of what was learnt back in school. Well it seems the Federal Government has decided to back track on its original decision and ensure that corps members obtain work experience relevant to their academic qualifications; by this the management of the National Youth Service Corps (NYSC) has decided that from the next batch of positing Corp members would not be sent only to schools and farms. Graduates of medicine would therefore be posted to hospitals and health centers, law graduates would be posted to Ministries of Justice, law chambers and Legal-based NGOs, just like others would be posted to organisations where their academic qualifications would be deployed to use. Graduates of Education and single honours would be deployed to schools under the new policy. The policy was adopted last year after the realisation that most organisations, especially in the private sector, take advantage of the scheme to keep their wage bill low as they do not make any effort to retain any corps members who served with them; rather they would throw them into the labour market and demand for fresh corps members. The Chairman of the Board of the NYSC, Chief Gordon Bozimo, made this disclosure in an exclusive interview with THISDAY where he noted that the NYSC would not allow private sector organisations to take advantage of its CMs anymore. This, he added, would be done through the demand and signing of an Memorandum of Understanding (MoU) with any private sector organisation that demands for corps members to retain a certain percentage of the corps members at the end of the service year. “If an organisation writes us to send corps members to them, it means they have need for manpower; these are graduates, they are educated, they are not clerks, so if we are send 50 corps members, the organisation would sign an MoU to retain at least, let’s say 30 percent. That will also make the corps members know they have something at stake, they have to show good example and work hard,” he said. This arrangement, he clarified does not, however, mean that such CMs at the end of their service year would not undergo the aptitude tests of the organisations if they have those as requirement for full employment. Bozimo added that it is counter-productive to send a doctor to teach in a school as a year of teaching cannot be considered as relatable work experience for such doctor. “In some schools, you get more corps members than full time teachers, so we are hoping that by the next batch, we would send corps members to where their expertise would be appropriate,” he added. The Board Chairman disclosed that the NYSC is working with state governments to improve the living conditions in the camps that need improvements especially in terms of security, power and water supply to the camps. ‘Institutions Who Present Unqualified Graduates Will Be Persecuted’, NYSC DG. NYSC should have thought of this long ago but lucky still they’ve realised it now. The next batch of corps members who are going to be part of this scheme should make their one year a memorable and fulfilled one. Mr chairman, i must congratulate u sir, for ur vantage idea towards the corps members. I do agreed with new policy dat was being implemented do the sufferage in d country, the private sector as use corps members too much and dumpt them back to the streets of labour market. Sir, my question is this, now dat the policy has come to stay, what will the federal govt do to corps members after service, is there any plan for employment. Thanks sir. IT’S MORE BETTER TO PRACTICE THE SPECIALIZED AREA!